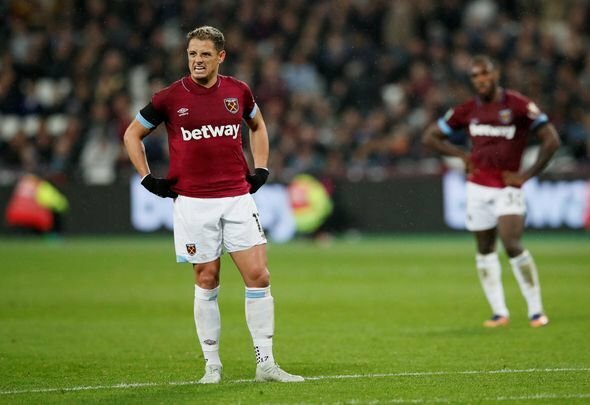 West Ham United striker Javier Hernandez wants to leave the London Stadium after failing to get a January move, according to Football London. The outlet claims that the 30-year-old is targeting an exit from the club, having been heavily linked with a move away from East London in the winter transfer window. The Mexico international remains a West Ham player for now, but it is thought to be unlikely that that will remain the case beyond the summer. The former Manchester United man has struggled for form and fitness this campaign, registering only five goals in 19 appearances for Manuel Pellegrini’s side. This is a real shame for West Ham. For whatever reason it’s not really happened for Hernandez in claret and blue, but you still feel as if there is untapped potential there. He is a poacher extraordinaire and if the club could get more reliable service into him it’s likely that he’d do well. It’s unfortunate for him that he hasn’t had more game time alongside Marko Arnautovic because that’s where you feel the Mexican would do well. With someone like the Austrian teaming up with him and putting chances on a plate it’s likely that Hernandez would fill his boots. Now, though, it seems like he is simply fed up at the club. He obviously isn’t particularly happy and that was made clear with all the speculation about his future in January. He wants out and so it would be a major surprise to see him still at the London Stadium at the start of next season.